Share "Getting Your Pet Acquainted To A New Home"
Being as how this is your pet’s new home, you should let him look around it as much as he wants. However, always keep your dog on a leash when you go outside. Even dogs that have been fine off the leash before can get spooked because they’re not used to the new surroundings. If your pet gets away it’s even worse because they may not know the way back. 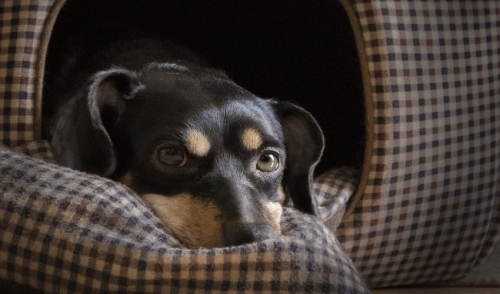 Even after some exploring, your pet might still be a little skittish about your new home. You might find him hiding a lot more than usual. If this is the case, don’t try and drag him out of his spot. Eventually he will adapt and be willing to come out on his own. Everything that you did at your old home with your pet should be kept the same if possible. Walks, feeding and play at similar times will help your pet adapt to the new home a little quicker.